There are more similarities than you might at first think. Initially you need to prepare the ground so it is ready to accept the seed and embrace it, protect it, nurture it, support it. Then you plant a seed of some kind. It may be a petunia seed or a cauliflower seed or a sweet corn seed or a collection of wildflower seeds. Or it may even be the seed of a thought about what you want to change in your life. You start with the seed. And seeds, as a rule, tend to be on the smaller size. The size of the seed is not what is important. What follows is critical. You can’t plant a seed and expect it to produce results overnight. Or even in a week, perhaps not even two weeks or in a month. We’re talking the length of seasons here. It takes time and nurturing for the seed to sprout, establish roots, emerge from the soil, and begin to grow. And even longer to reach a state of maturity where its fruit is ready to harvest and you really see and experience the results of that initial step of planting the seed. Changes in behavior also take time. New healthy behavior habits require practice and patience, which is difficult to endure when you feel lousy and want to feel better quickly. Sorry. That’s just the way it is. 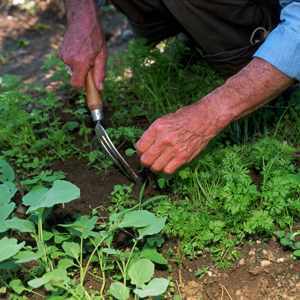 Along the way, you need expend considerable effort to fertilize the ground, eliminate the threats (i.e., weeds! ), and protect the young plants from voracious critters hungry to devour your efforts before they reach maturity and fruition. Maybe that means putting up a fence, or some other kind of barrier to keep out the influences that would rob you of the richness of your harvest. Maybe it requires relocating the garden to a different spot. You take the analogy from there for behaviors. Protective, preventive steps and your location or personal environmental analysis are key for success. But if you are persistent, you WILL see results. And they will be sure to delight you if you have put in the required effort to make it happen. The Law of the Harvest rings true with your behaviors as much as it does with your garden. You reap what you sow. 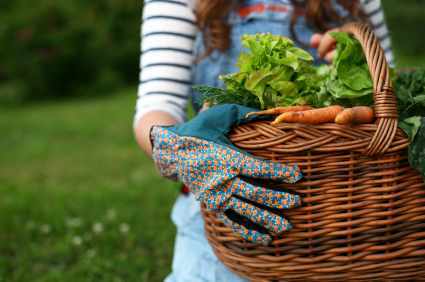 And if you are struggling with your garden of life, consider letting DAHLC wellness coaching help you plant the seeds and pull the weeds. Happy gardening!